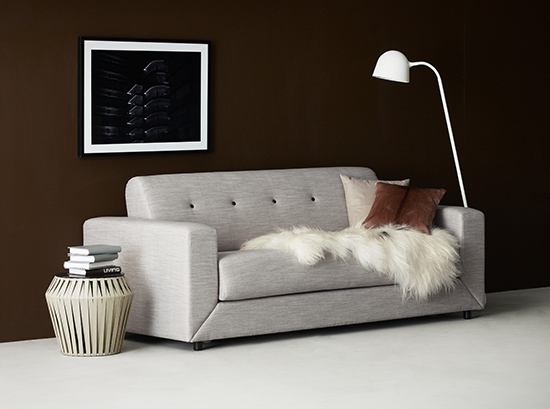 The Stockholm sofa bed by BoConcept is a luxury modern designer sofa bed with a well-balanced proportions and smooth, yet durable pull out mechanism, which enables it to turn into a bed from a sofa with just one hand manoeuvre. 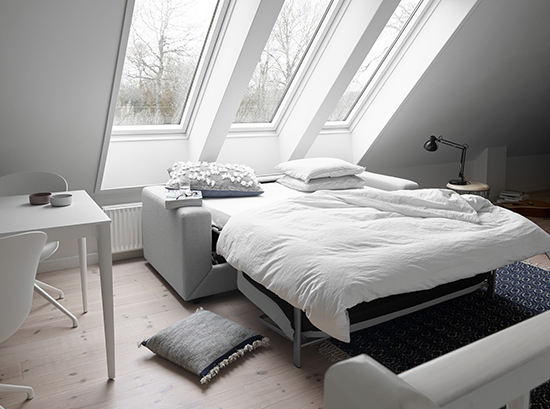 It also has the option of a resting unit with storage compartment underneath the cushioning, discreetly hidden away. As per classic Scandinavian style sofas, it is well thought out combining affordable luxury, high quality and practicality all in one. It is available in a vast range of colours and different fabrics to suit your space exactly and comes with the option of buttons or no buttons attached to the fabric. Complete a luxurious look for living room by adding a stylish wall unit and match it with an armchair from our modern range to match the Stockholm sofa bed.